There are some very steep routes on holes and small tufas inside the caves of Telendos, with vertical routes on the outside walls on a good sprinkling of holes. Ideal for climbing in the afternoon in summer. 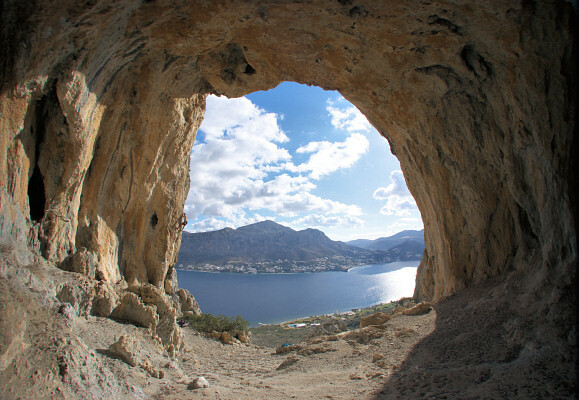 Access to the caves: From the harbor, follow the well-marked footpath to the northern beaches. 100 meters after the last building (hotel), turn left and follow the blue signs for a further 20 minutes. The total time from the harbor should be around 25 minutes.